I've been promising to share this recipe all year and here it is finally. 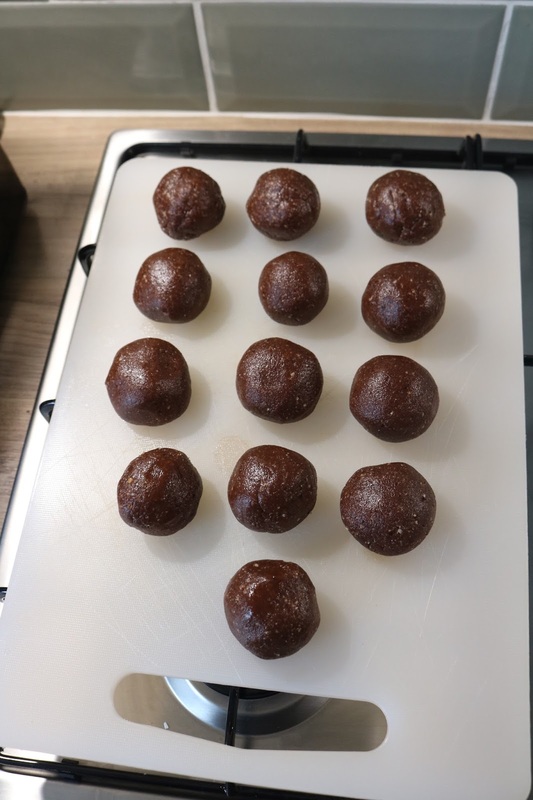 My peanut butter protein balls. These are delicious and chocolatey and full of protein. I usually have these post run or a gym session. So as it's the GNR this weekend I thought I'd share this recipe incase you wanted to make your own. Start by removing the stone out your dates and placing to the side for later. 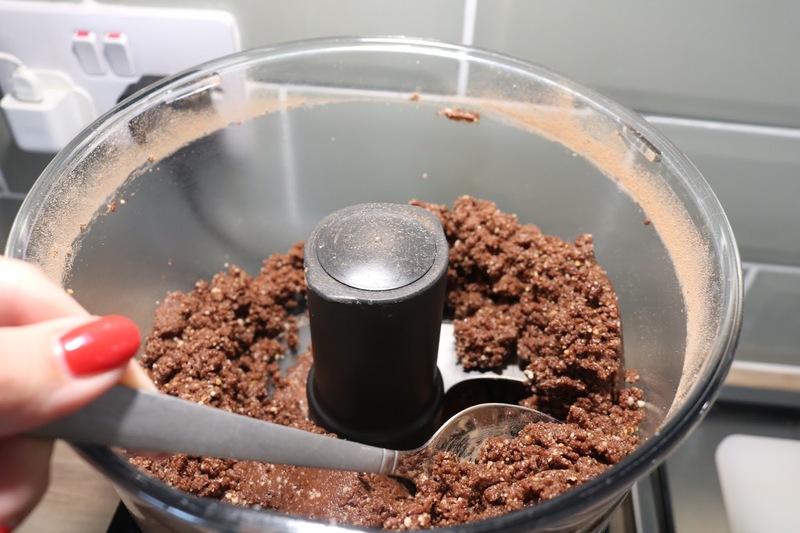 The easiest thing about this protein ball recipe is that if you have a food processor all you need to do is stick all the ingredients in an whizz it up till everything is combined. You might have to get your spatular out and scrap the side to make sure everything is mixed. I popped the hazelnuts in the processor first to make sure they were finally chopped, then I just put the remainder of the ingredients in. The mixture needs to be sticky to hold together to shape into balls. 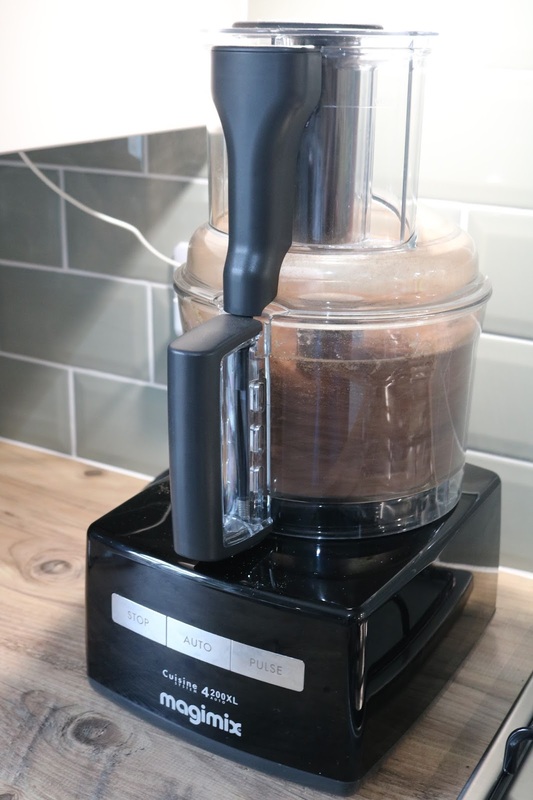 It really doesn't take long to mix the ingredients and it makes a deliciously chocolatey smell. Now this is the part where you need to get your hands dirty. Once all the ingredients is combined get a table spoon of the mixture of and place it in the palm of your hand and roll it into a ball. I try and make them all the same size but if you want bigger or smaller it is completely up to you. Now pop them in an air tight container and store in the fridge and they will last a week or so if you manage to resist them. 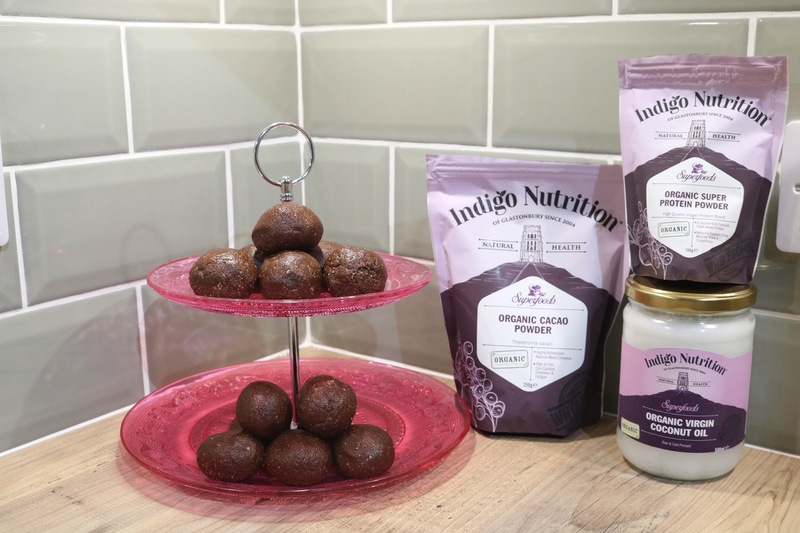 To purchase your ingredients head over to Indigo Herbs where you can stock up on all your healthy food supplements. Don't forget to tag me on twitter @katiejaneonline once you made these delicious healthy treats. 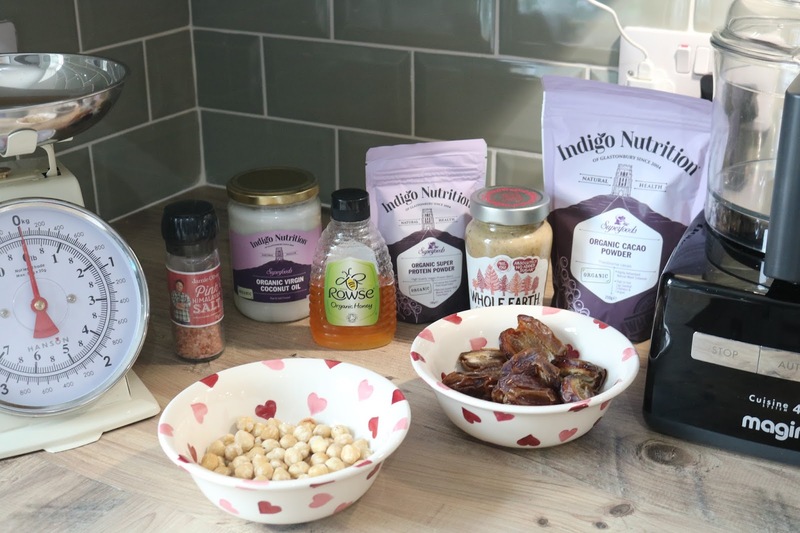 *Indigo Herbs send me over their products to include in this recipe.